Buzz Gravelle has over twenty years experience as a music instructor. 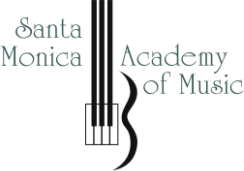 He is the founder, co-owner, and director for the Santa Monica Academy of Music, where he is the head guitar instructor. Additionally, he is an adjunct Professor of Music at California Polytechnic University at Pomona. 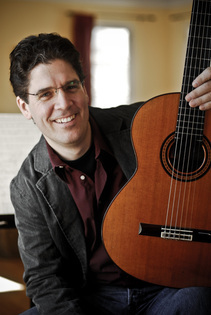 As a member of the Modern Arts Guitar Quartet (1990-1995) he performed regularly in California, in addition to Germany, Austria, Italy, Mexico (16th Annual Festival of New Music, Mexico City, 1995), and the Pacific Northwest. He stays active performing and recording on classical guitar and classical mandolin. Buzz holds both a Master of Fine Arts (M.F.A.) and Doctor of Musical Arts (D.M.A.) degree from UCLA. His primary classical guitar instructors were Professors Peter Yates and the late Theodore Norman. He has also studied jazz guitar with Warren Nunes, composition with Manuel Enriquez, and lute and theorbo with Michael Egan. See buzzgravelle.com for more information about his professional activities.